Being a watch enthusiast and a watchmaker, I am constantly on the lookout for new promising brands that enter the market. More often than not, most of the newer brands fail to impress in terms of quality and design. But rarely there comes along a brand that absolutely shatters my skepticism towards these new entrants through their amazing quality timepieces! Shinola is definitely at the top of my list when it comes to the most promising new entrants into the market for luxury watches. This Detroit-based watchmaker has found stunning success in only a matter of a few years with several big celebrities and political leaders seen rocking the brand’s sleek looking timepieces. So if you’re in search for a premium grade timepiece that comes at an affordable price but remains on point when it comes to quality and build, Shinola’s range of watches is definitely worth your consideration! 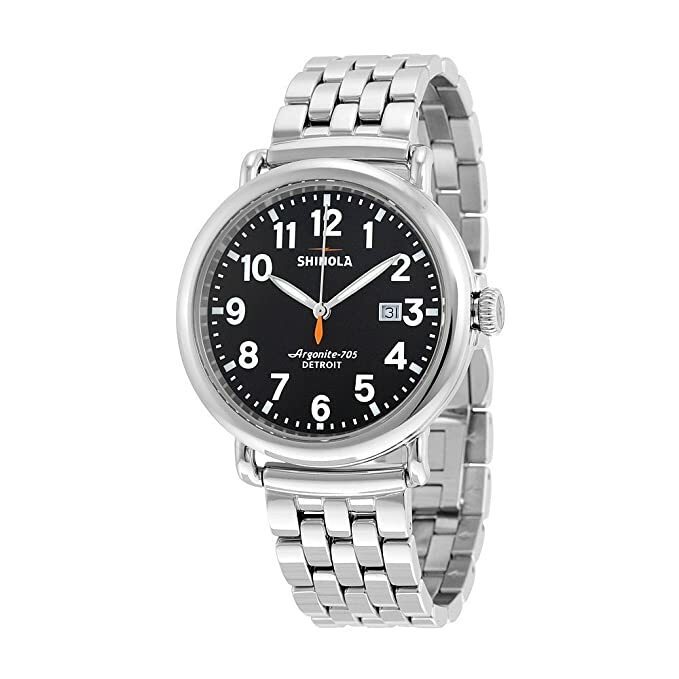 What are some of the shortcomings of Shinola Watches? Shinola is an American manufacturer of luxury watches, bicycles, wallets, bags and a wide host of other specialty goods. Based inside the College for Creative Studies in one of Detroit’s most historic landmarks – the old Argonaut Building, this brand is playing a significant role in helping the city recoup from its terrible financial disaster. The brand’s signature “Runwell” range of luxury watches has found tremendous success in recent years with the range selling out everywhere, and even ending up on former President Bill Clinton’s wrist! 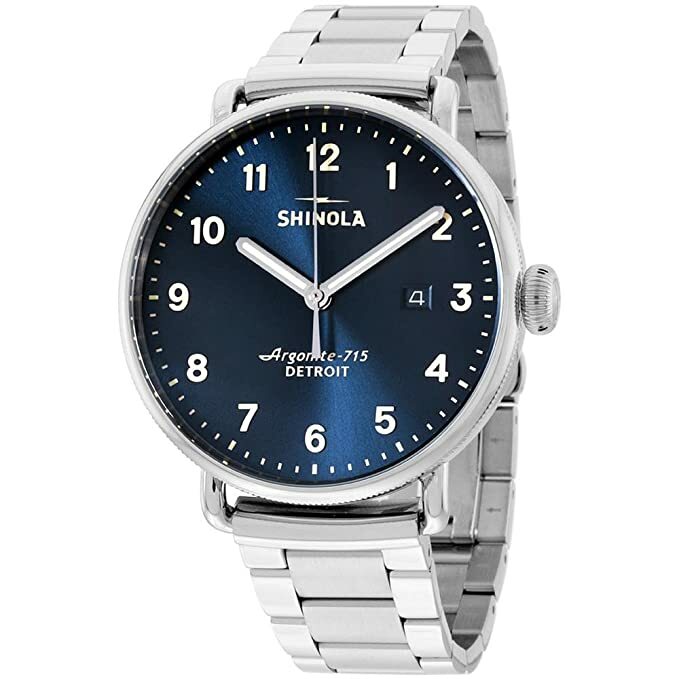 The thing I noticed about Shinola’s watches is that the brand has managed to beautifully get a good balance between a classy, sophisticated look alongside a nice touch of casual playfulness. I believe this is one of the biggest reasons for their tremendous success in recent years, along with a decently affordable price-tag. In a market dominated by legendary premium brands that have century’s worth of history behind them, Shinola is still a child, but one that displays incredible potential. While the modern-day Shinola was founded only in 2011, the brand name is actually over a hundred years old! Shinola was one of the most popular brands of shoe polish throughout America way back in the 1880s and 1890s. The brand was founded at Rochester, New York in 1877 but went out of business in 1960. Tom Kartsotis founded the present-day Shinola in 2011 under his investment company named Bedrock Brands based off Texas. Interestingly enough, Kartsotis was one of the founders of the Fossil Group, which is a fashion giant also known for their premium quality watches. Kartsotis’ motivation behind the formation of Shinola was to build a premium quality all-American watchmaking brand that could rival the Swiss giants at a lower price point. 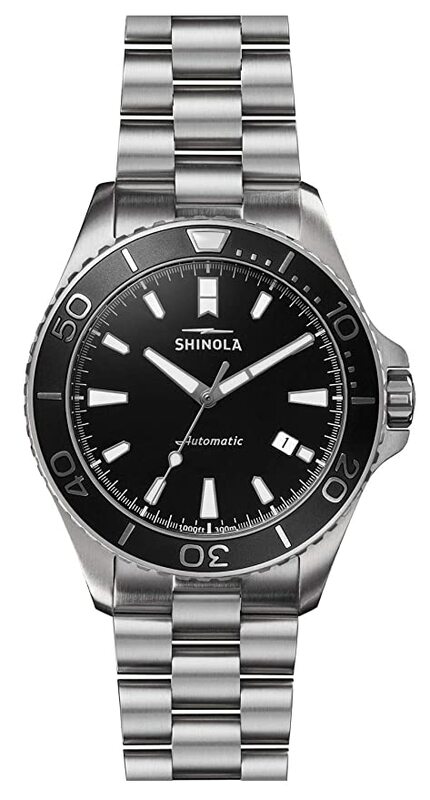 The first line-up of watches manufactured by Shinola rolled into the market in March 2013 with only 2500 watches available in two different sizes. Their first edition watches sold at a price of $550 and got sold out in just one week! The company then decided to roll out the second lineup of limited edition watches in October 2013 which also did exceptionally well. Ever since then, their popularity has grown with leaps and bounds with their signature Runwell range doing incredibly well in the market for mid-range luxury watches. Shinola is not a brand that I would describe as a “traditional watchmaker” such as Rolex or Audemars since they aren’t exactly handcrafted by master watchmakers. In fact, as of 2014, the brand only employed two watchmakers, and their manufacturing is done entirely on an assembly line instead of the start-to-finish approach adopted by a lot of the premium brands. However, the parts that go into the production of their watches are of excellent quality, and every single one of their watch models is different and comprises of different parts. This means that even the same range of watches by the brand can vary in terms of quality and wearability. The Runwell collection is the brand’s flagship range of analog watches and features a wide assortment of bands, colors, lengths, and faces. The Standard 47mm Men’s Runwell that I tried out is made from some of the finest components available in the world. Featuring a sapphire crystal, a solid stainless steel case, Super-LumiNova printed dials and a screw-down crown, this classy timepiece has become very dear to me in a short amount of time. My wife was also extremely impressed with the incredibly detailed design, and the “playful but masculine” appeal of the watch. Some of the Runwell’s other models come with some pretty interesting features such as a moon dial capable of lunar phase tracking, which my son found pretty exciting. Almost all of Shinola’s watches are powered by the company’s Detroit-built Argonite-movement and made from high quality imported Swiss parts. 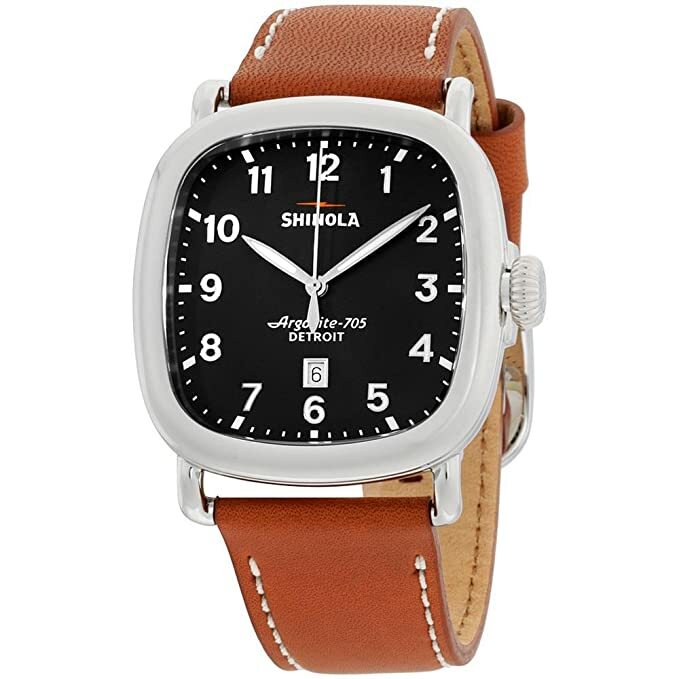 There’s a great variety of styles and faces that you can choose from when it comes to Shinola’s watches, with both formal and casual styles available to go along with your fashion statement. Shinola’s watches do not work well if you’re planning on pulling off a full-formal suit and tie look. They aren’t exactly great when it comes to pulling off a professional or formal look, even with the timepieces that the brand claims to be formal. In my opinion, they are much better suited to the semi-casual business attire that is in trend these days. Also, these watches are ultimately a quartz-movement watch, and at the price-point that they come in, you can easily invest in a Swiss-made mechanical quartz watch. 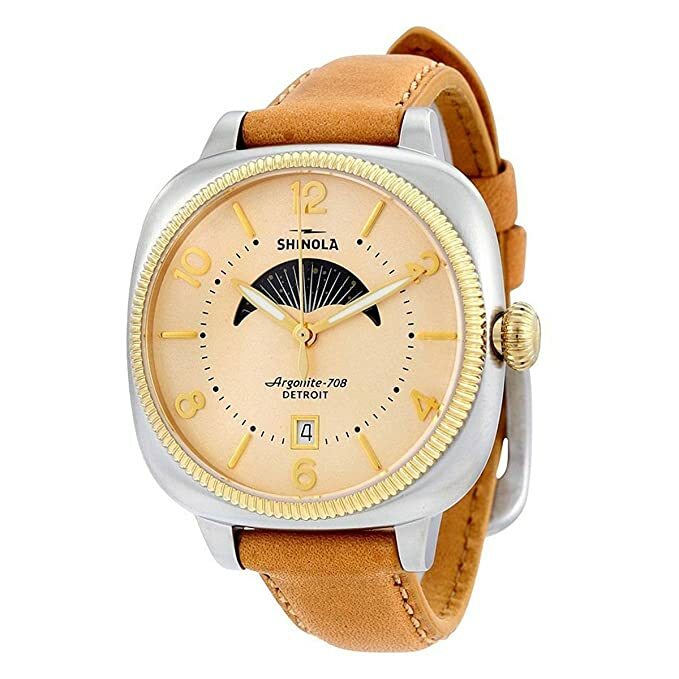 If you’re looking for a semi-formal, sleek-looking daily wear watch, then Shinola is an excellent choice of a brand. Their popularity has soared thanks to the amazingly well-built and aesthetically pleasing timepieces that the brand has managed to offer at an affordable price range. Plus, you’re also doing your part on helping the city of Detroit to get back on its feet by purchasing from this homegrown brand!